Hello and welcome to exampundit. 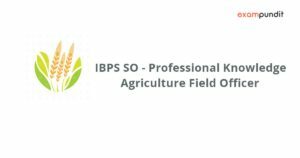 Today we are sharing IBPS SO Agriculture Field Officer Professional Knowledge quiz on Environmental and Soil Sciences, Horticulture. Which element is considered as energy currency for the plant?